Happy hour is a great draw for restaurants and bars to bring patrons in during the typically slow hours between lunch and dinner. While it can increase customer foot traffic or sales, it may also increase the loss potential. For bars, this can be in the form of liquor abuse as well assault and battery. For restaurants, it’s those plus the standard slips and falls or food-borne illness claims. Either way, a business can be hit hard. Limiting the time in which people can buy discounted drinks can help reduce liability. ■ Set a timeframe that the happy hour occurs. 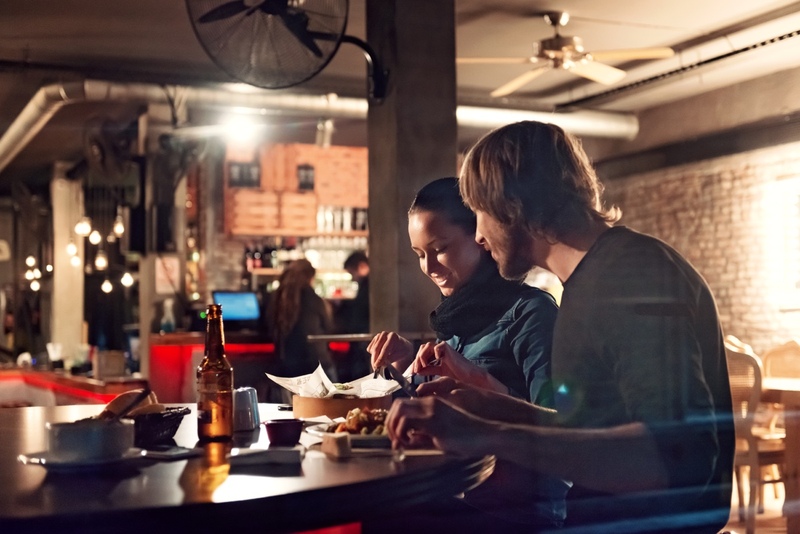 Some bars may have happy hour daily; restaurants may have it just once or twice a week. Limiting days can help to reduce the risk. ■ Set the length of the happy hour. Restaurants tend to enforce a timeframe; they don’t leave it open ended. For example, from 4 p.m. – 6 p.m. each Wednesday. Bars may be a little more flexible. Limiting the time can help reduce the risk. ■ Implement a drink limit per transaction or per customer. ■ Make sure the staff receives certified alcohol safety training that includes common signs of impairment and how to handle unruly behavior. Plus, make sure that employees go through refresher courses if there are expiration dates. ■ Have employees look for signs of intoxication when the customers first show up. ■ Utilize security or bouncers, if needed. Make sure they’re trained to find signs of intoxication. ■ Keep a list with local cab numbers. ■ Use a ridesharing service if a cab can’t be reached quickly enough. Thorough documentation of an incident provides more information for a potential claims defense so that the business is not responsible for something terrible that the customer did later. ■ Keep a record of every single altercation or irregular interaction an employee may have with a customer involving alcohol. ■ Maintain accurate drink counts for each person on a tab. According to State and Local Laws, each state has the authority to regulate the sale of alcohol. This means state and local jurisdictions may be more restrictive than federal regulations and may have their own requirements in addition to federal requirements. Be sure to contact appropriate authorities for more information about federal, state and local requirements. For more information, check out the state Alcohol Beverage Control (ABC) website. Happy hours, while good for the registers, can be dangerous. Cover your tracks; the boost in business during slow hours isn’t worth it if you’re spending the profits on a lawsuit.